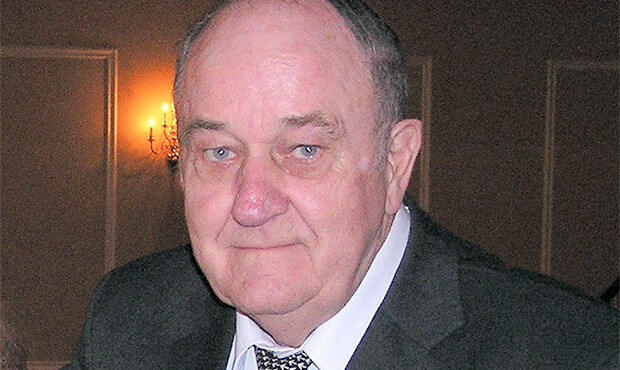 Earl Joyce, often referred to as the "Father of Modern Judging," passed away Wednesday, Sept. 3. He was 83 years old. An Army veteran and a 1988 inductee into the Drum Corps International Hall of Fame, Joyce was a member of the Chicago Cavaliers in the 1950s. He's credited as the corps' drill designer in 1956, a position he held just prior to the late DCI Hall of Fame member Len Piekarski who passed away just this August. Joyce may be best remembered for his work as a judge administrator, particularly with the Central States Judges Association. Shortly after its founding in 1959 he served as the association's marching and maneuvering caption head. At a time when scoring and judging systems between the different regions of the United States and Canada were not unified, Joyce played a key role in bringing many different factions together to create a standardized structure. With a foresight that the drum corps activity had never before seen, he developed the foundation of how drum corps are judged today. Long supporting the philosophy that judges were on the field to serve and support the corps, Joyce also helped develop the after-show critique, a system by which corps directors and instructors were given the opportunity to discuss their corps' program and scores with the adjudicators in an effort to improve future performances. Cavaliers alum Chris Hartowicz, who was mentored by Joyce as part of the Central States Judges Association, remembers that in 1966 Joyce assessed the Cavaliers a one-point penalty while judging the VFW Nationals that kept the corps from winning the show. "It broke Earl's heart to report it, but he was a man of great integrity," Hartowicz said. Outside of marching music, Joyce worked for many years for George Lauterer Corporation in Chicago. The company to this day is responsible for making the World Championship flags and placards that are affixed to the DCI Founders Trophy and other awards. Joyce is survived by his wife Noreen, children Earl, Michael, John and Joseph, and numerous grandchildren and great grandchildren. Visitation will take place Friday, Sept. 5, at Lawn Funeral Home in Burbank, Illinois. Services will take place the morning of Saturday, Sept. 6 with internment at Holy Sepulchre Cemetery in Alsip, Illinois.